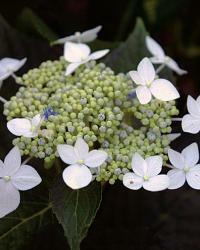 Every now and then I hear from fellow hydrangea (Hydrangea macrophylla cvs. and H. serrata cvs., USDA Hardiness Zones 5–9) fans who divulge their heartbreak to me over a prized shrub that will not flower. They’ve patiently waited to see if this will be the summer that their mophead or lacecap flowers will appear, only to be met with disappointment. This problem is not uncommon and can be remedied easily. All they need to do is understand how these woodland plants grow and select those varieties that are hardy in their climate. 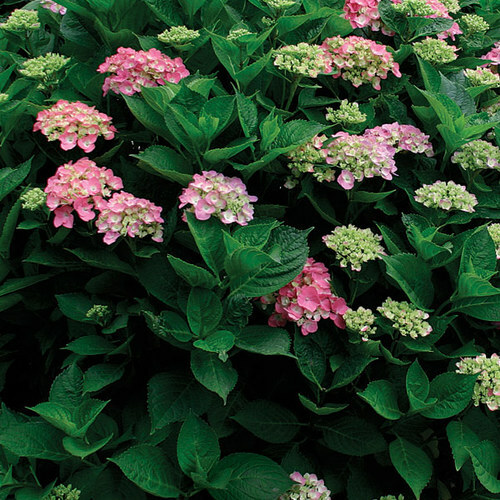 Two words to remember when it comes to hydrangeas that refuse to flower are “too much.” Bigleaf hydrangeas grow well in the shade in most areas of the United States; however, too much shade can result in gorgeous leaves and no flowers. The high shade created by deciduous trees or evergreens is perfect for bigleaf hydrangeas in the East, Midwest, and Northwest. In California, any shade you can find, as long as it is not too dense, seems to work. 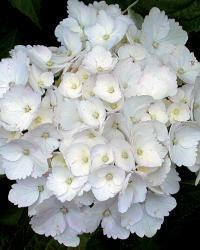 But hydrangeas located near a foggy coast and in northern areas of the country require no shade at all. 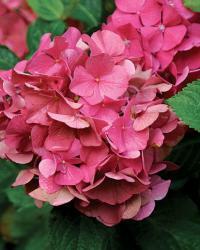 If your hydrangea isn’t flowering, you may be pruning it at the wrong time. 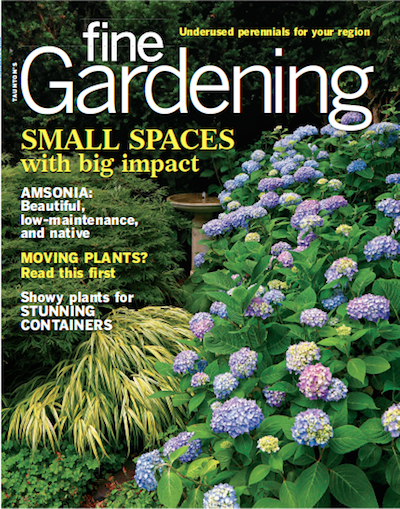 Read about pruning hydrangeas. Another problem could be too much fertilizer. A high-nitrogen fertilizer will result in beautiful leaves and few, if any, flowers. 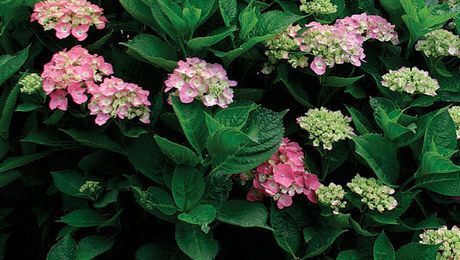 Bigleaf hydrangeas can tolerate very high levels of fertilizer without showing signs of fertilizer burn, so practice moderation. Too much water and too much dryness can also result in a lack of flowers. 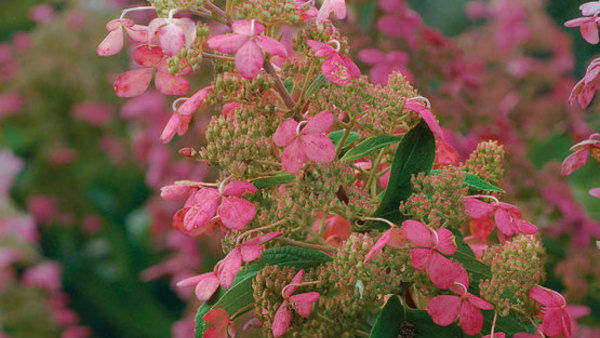 Many bigleaf hydrangea cultivars make it to garden centers or into mail-order catalogs before being tested for cold hardiness in the landscape. 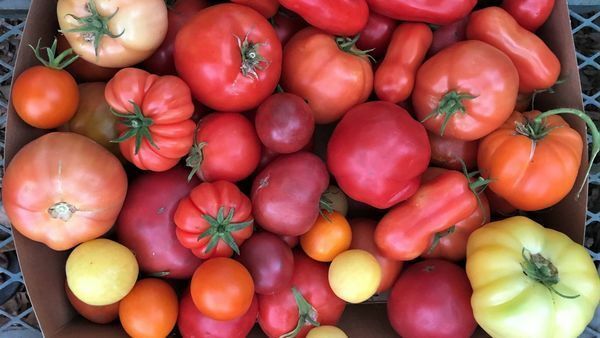 That’s why researchers like Sandra Reed, research geneticist at the United States National Arboretum, and the staff at North Carolina State University’s Mountain Horticultural Crops Research and Extension Center, in Fletcher, have been evaluating hundreds of cultivars for cold hardiness. 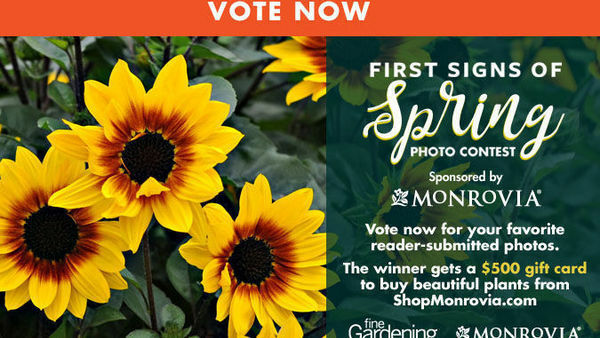 After five years of research in test plots in Missouri (Zone 5), Tennessee (Zone 6), and North Carolina (Zone 7), these are the selections we found to have the most consistent flowers for areas with cold winter temperatures. All are hardy in Zones 5 to 9. One of the best blue-flowering mopheads by far is ‘All Summer Beauty’. Its sky-blue blossoms open with a white eye that matures to all blue. 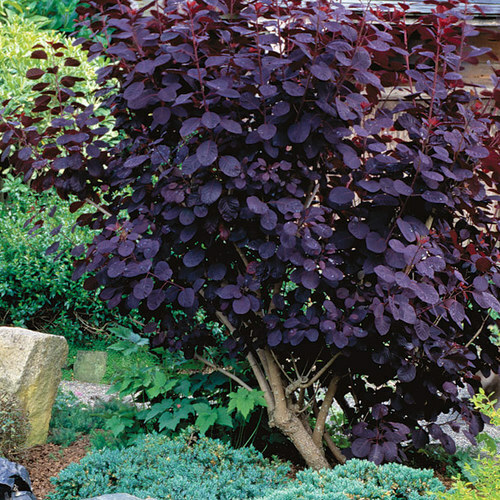 ‘Nikko Blue’, a variety with clear-blue flowers, is also an outstanding shrub. Both have relatively large and abundant flowers that repeat in autumn, but they’ve won me over for their reliability under diverse conditions. ‘Mathilda Gutges’ is a good selection for its intense deep-violet-blue flowers that stand just above the foliage. 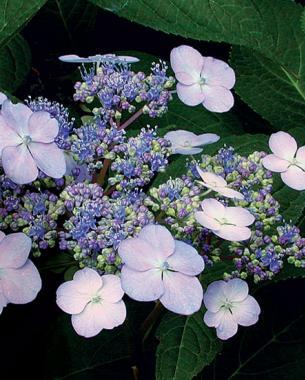 Like all other bigleaf hydrangeas, ‘Mathilda Gutges’ can vary in flower color from medium pink to blue, depending on the soil conditions. ’Générale Vicomtesse de Vibraye’ gets my vote for consistently producing the largest flower heads of all the hydrangeas we evaluated. In our acidic soils, this cultivar displays light-blue flowers that measure up to 18 inches in diameter in rainy years; in other areas, it produces beautiful pink blossoms. 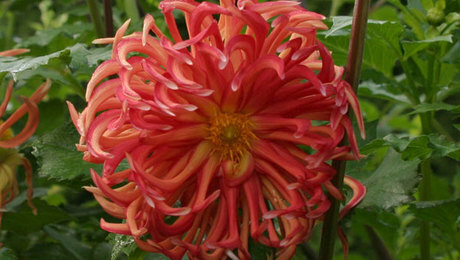 If pink mopheads are more your style, ‘Glowing Embers’ (syn. ‘Alpenglühen’ and ‘Alpenglow’) is the best reddish-pink variety I saw in the bunch. 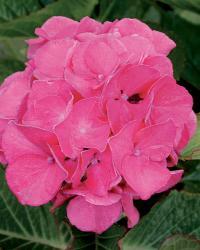 ‘Masja’ was a close second with its compact habit and attractive hot-pink flowers. But for those gardeners who prefer white flowers, I highly recommend ‘Madame Emile Mouillère’. Alas, this pure-white cultivar is not reliably hardy for us in the exposed southern Blue Ridge Mountains, but in a sheltered site it is a precious gem. 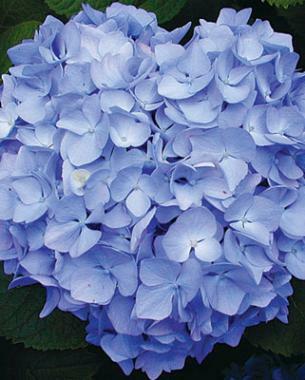 ‘Bluebird’ and ‘Tokyo Delight’ both produce lovely, flat, doilylike blossoms and are wonderfully dependable. ‘Tokyo Delight’ has large pale-blue or pink flowers that fade to nearly white, while ‘Bluebird’ displays totally blue blooms above its attractive and vigorous foliage. When the flowers of ‘Bluebird’ set seed, the sterile florets turn upward, revealing their pink undersides regardless of the soil pH. 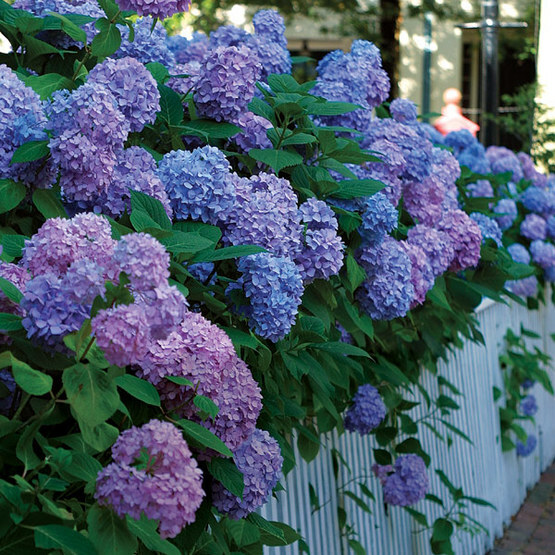 For overall beauty, my favorite lacecap is ‘Coerulea’ for its excellent foliage and light-blue flowers that reappear in fall. ‘Lilacina’ is an exquisite choice as well. Although it’s always more purple than blue under our conditions, I’ve seen it display remarkable soft-pink flowers in other regions. ‘Lilacina’ does not bear many flowers at a young age, but patience is rewarded. As the plant matures, its beautiful flowers increase in abundance and hold up even in heavy rain. For something a little out of the ordinary, ‘Lanarth White’ is a dependable white-flowering lacecap that produces a large number of flowers and sporadically reblooms in the fall. 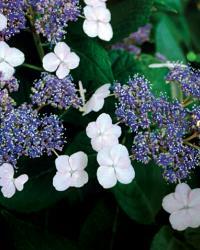 Hydrangea macrophylla and serrata cvs. • ORIGIN: These deciduous woodland shrubs are native to Japan. 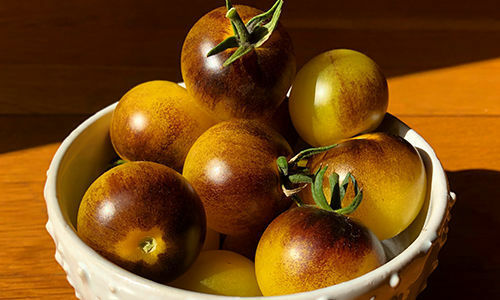 There are more than 400 known cultivars between the two species. 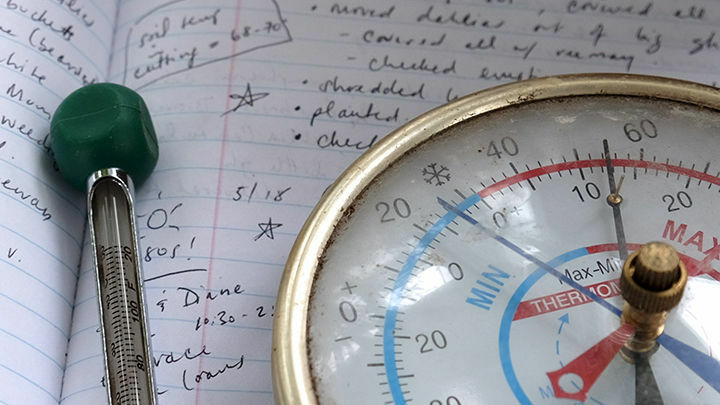 • HARDINESS: USDA Hardiness Zones 5 to 9. They do best in full sun to partial shade, depending on your location. • CONDITIONS: They prefer moist, well-drained soil but can develop yellow leaves, a symptom of chlorosis, in highly alkaline soils. 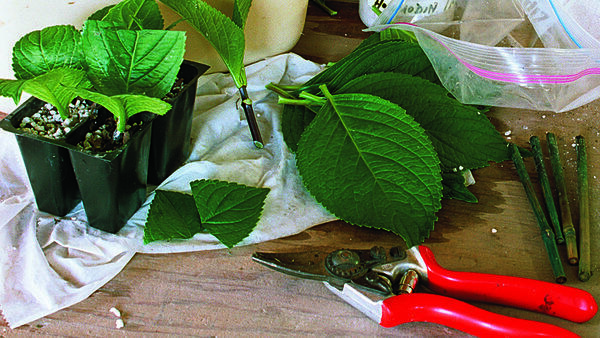 • PROPAGATION: Propagate new plants by softwood or semi-hardwood cuttings taken in late spring or early summer. 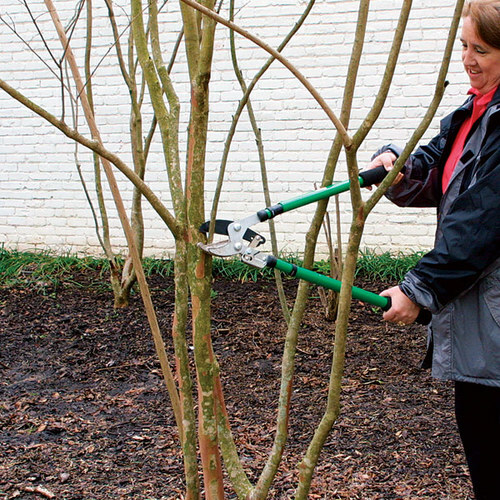 • PRUNING: Prune dead wood from shrubs in early spring. 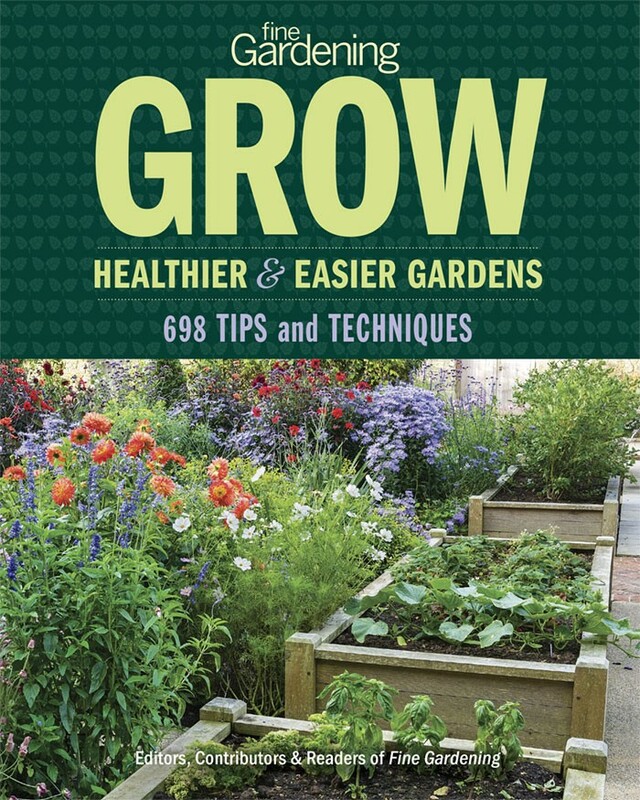 Avoid pruning the previous year’s healthy growth, since flowers develop on old wood. • SIZE: Plants range from 3 feet to 6 feet tall, but wind and cold temperatures can cause injury and hinder overall shrub size. If you’ve met all of the cultural needs of your hydrangea and you’re still not getting flowers, understanding how its flower buds are produced may help. 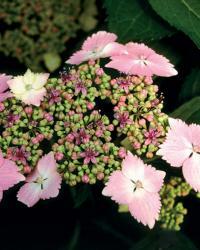 On bigleaf hydrangeas, the flower buds form on the previous year’s growth, known as old wood. 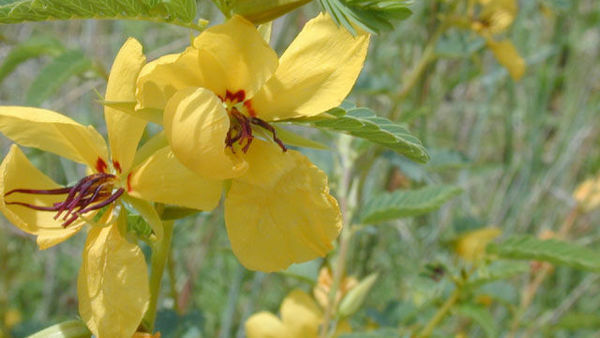 Therefore, destroying or removing these flower buds will keep your plants from flowering. 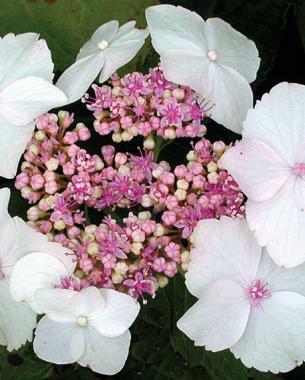 Bigleaf hydrangeas require very little maintenance pruning other than removing deadwood from the shrub in early spring and possibly deadheading the flowers for aesthetic reasons. 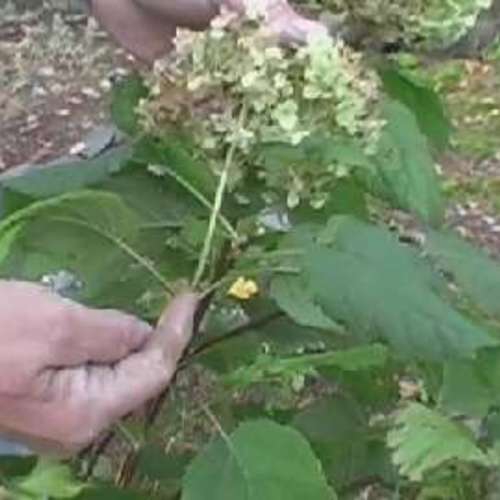 Any pruning of healthy growth in the spring, fall, or winter (including help from browsing deer) is likely to result in reduced flower production. 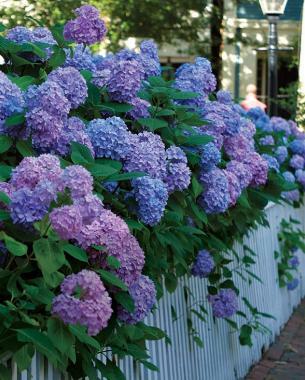 If you have to prune your hydrangea to control its size, the only time to cut back healthy growth is in summer immediately after the shrub has finished flowering. 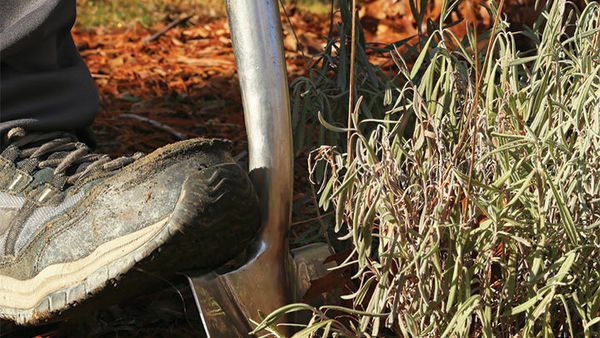 Cold winter temperatures can often kill off flower buds. This problem can be addressed by planting bigleaf hydrangeas on north- or east-facing slopes rather than toward the south or west, which are the first areas to warm up in late winter, triggering buds to open too early. Choosing cold-hardy varieties and siting plants under a canopy of evergreen trees can help to avoid winter kill. 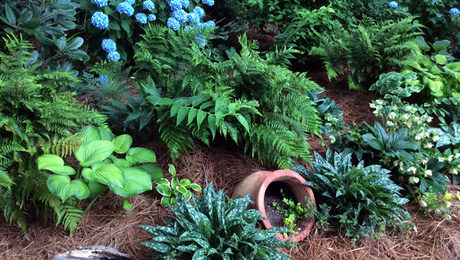 Some people apply a temporary deep layer of winter mulch to protect lower buds from cold temperatures. I’ve also seen gardeners successfully protect their plants by wrapping them in a burlap cocoon each winter. However, in regions with variable winter temperatures, protection may provide only limited help. During brief late-winter warm spells, when the flower buds are triggered to break dormancy, they are then often killed by returning cold temperatures. In this instance, there’s not much you can do other than practice these protective measures and hope for Mother Nature to cooperate. 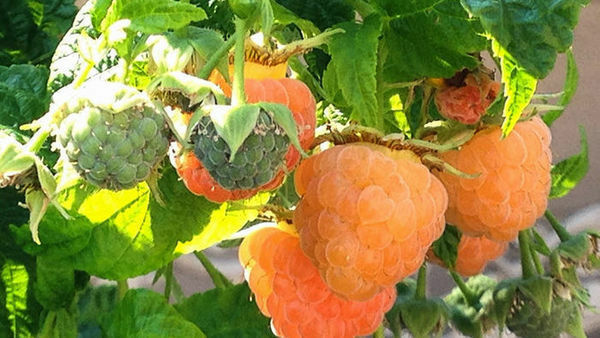 With a better understanding of how these plants grow and by choosing selections that stand up to the cold, the odds of having outstanding performers are considerably stacked in our favor. 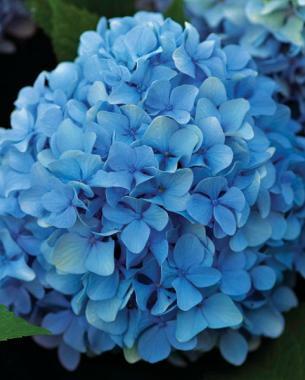 The flower color of a bigleaf hydrangea is determined by the soil pH and by the amount of aluminum in the soil (unless it is a white-flowering variety, which has no pigment and is not affected). 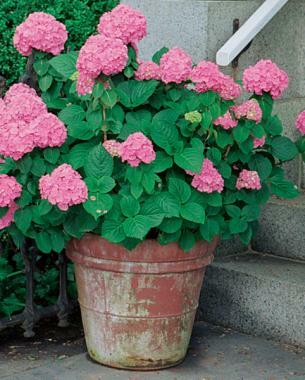 Hydrangeas can readily absorb aluminum only when the soil pH is low. Hence, the more aluminum in the soil and the lower the pH (acidic), the bluer the flowers will be. The less aluminum in the soil and the higher the pH (alkaline), the pinker the flowers will be. 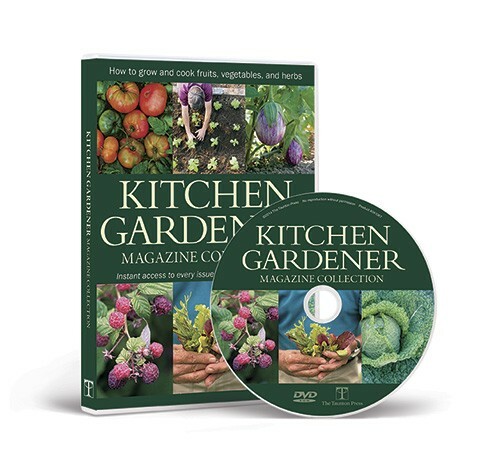 It sounds simple enough, but since there aren’t really any soil tests available to the average gardener to determine aluminum content, you should let your plant be your guide. 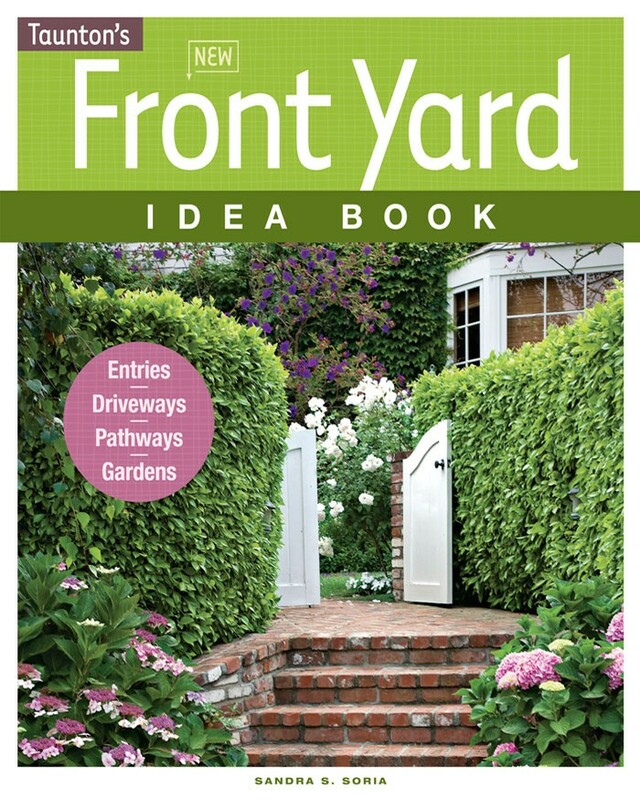 Allow your plant to grow in the ground for a year, then through one flower cycle. If your flowers are blue, you have aluminum present in your acid soil. 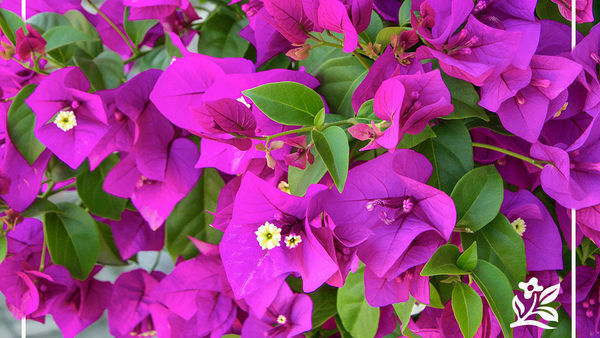 If your flowers are pink, you either have no aluminum or the pH is alkaline. 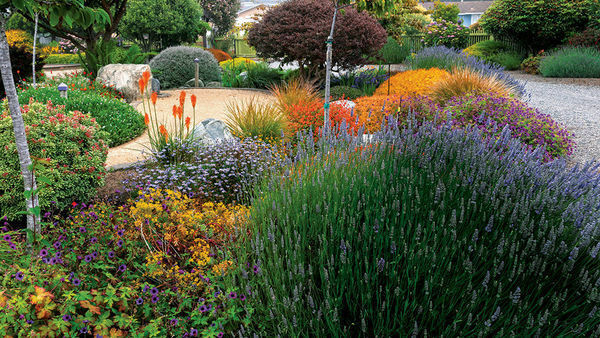 To get the color you want, you can simply have your soil pH tested and amend it accordingly in early spring. Watch this video to learn about soil testing. 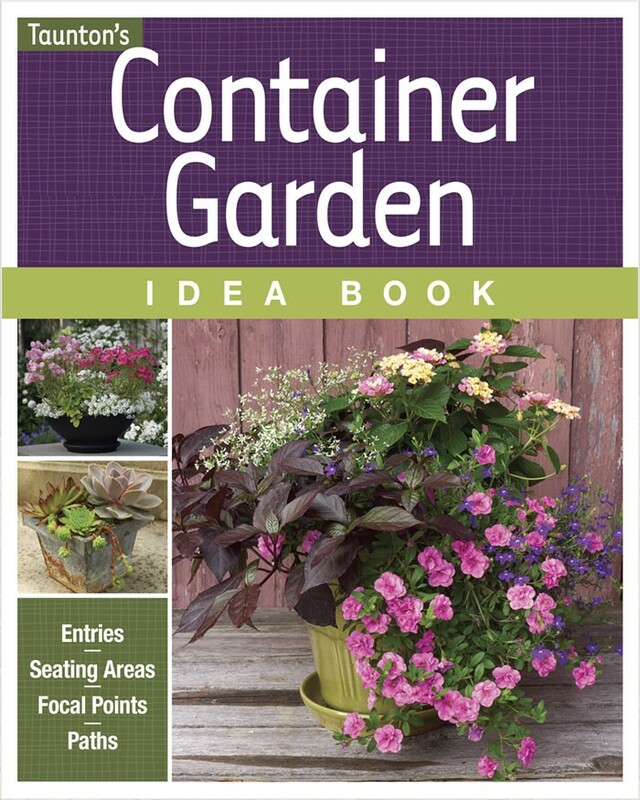 For pink flowers, add lime and phosphorus to raise the pH and block aluminum uptake, or grow in raised beds or containers using a soilless or aluminum-free planting medium. 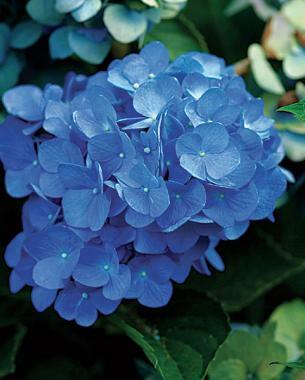 For blue flowers, add organic matter like compost or composted manure around the base of the plant to lower the pH. 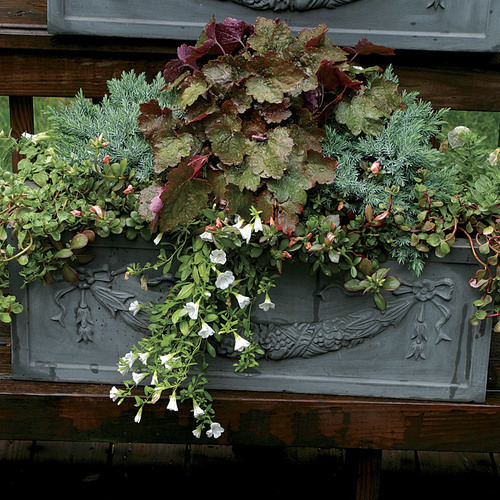 For blue flowers, add aluminum sulfate to increase aluminum content. For blue flowers, add aluminum sulfate to lower the pH and increase aluminum content. My hydrangea looks heathy and has buds all over, but they do not completely open up. What can I do to get the full ball like blooms.